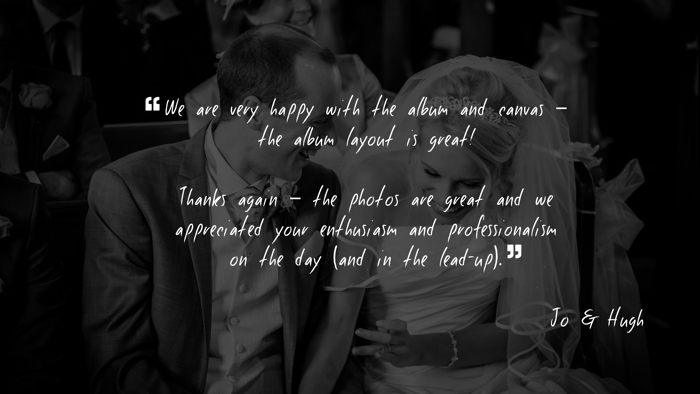 “We are very happy with the album and canvas – the album layout is great! 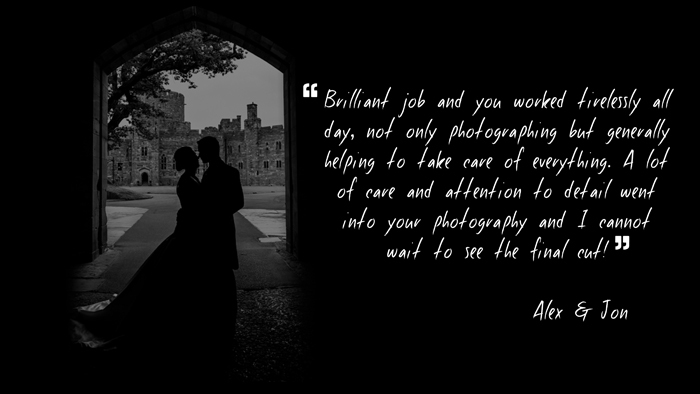 “Having my photograph taken was the worst thing I could think of, so choosing the right photographer for my wedding was really important to me. 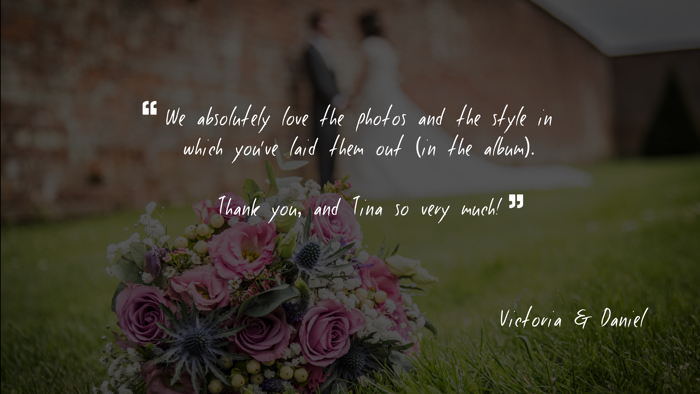 We had seen some of the work Simon and Tina had done and after looking on their website decided to give them a call. 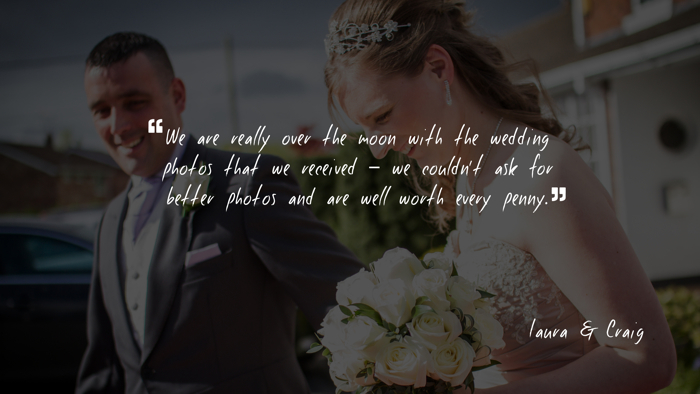 From the first time we met with them we felt at ease and the way they talked they wanted our day to be as special as we did. They are both very friendly and you really feel comfortable with them, at the same time they remained professional at all times. 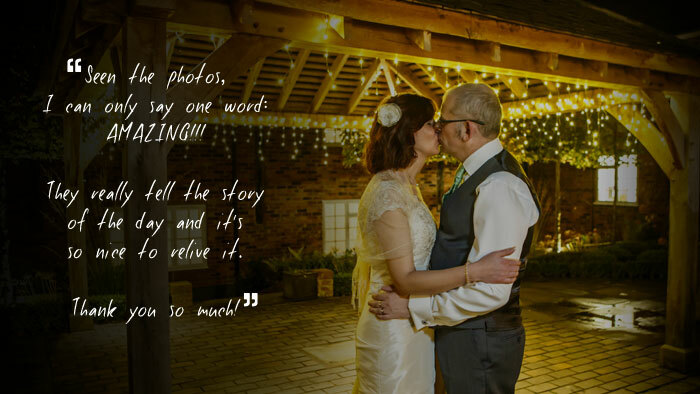 The engagement shoot is the best idea, getting you used to the camera and how they want you to stand, puts you in a great place for the wedding day, we were not as nervous and understood their instructions better! On the day the instructions were clear and they made sure the list of pictures we wanted were all done and they kept coming up with great ideas for different pictures and poses. 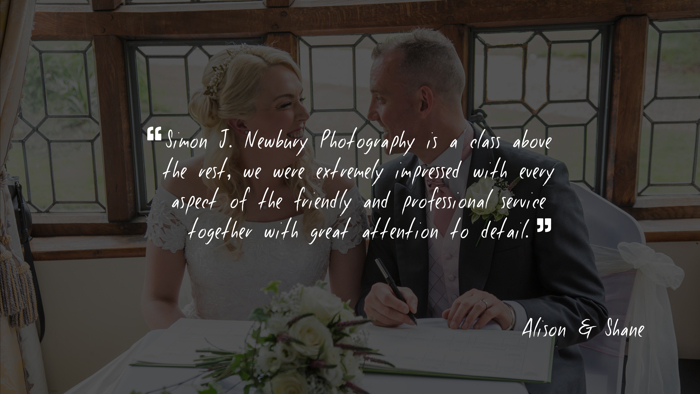 “We would just like to say we have had the pleasure in having our wedding photos taken for us by Simon J. Newbury Photography (Simon & Tina). 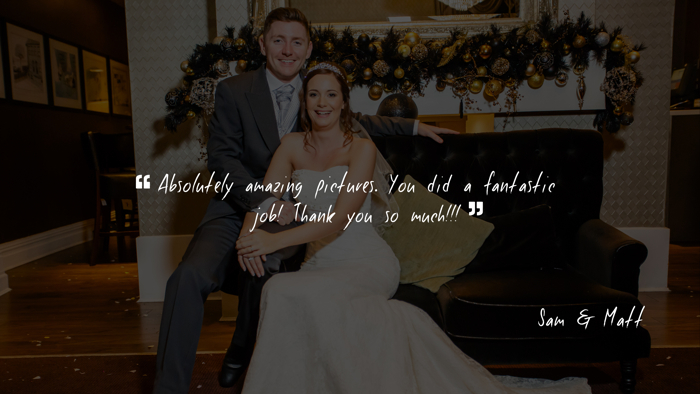 We would like to highly commend their work and professionalism in making our day captured for ever in what we can only describe as excellent work. 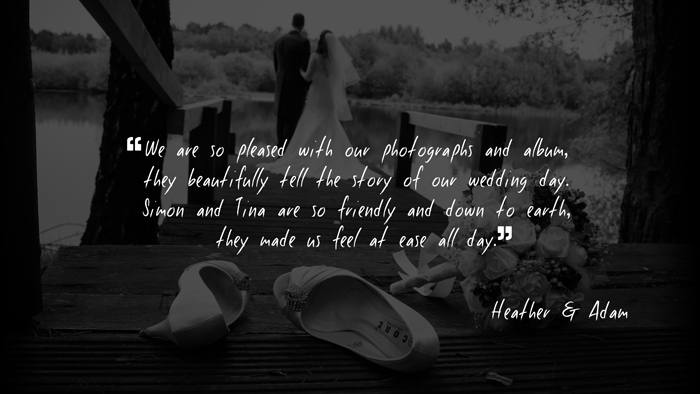 Both Simon and Tina talked everything through with us both prior to our wedding and made us feel at ease from the start, on the day the team both arrived at the locations as requested at 11am and stayed with us right the way through our day right up until the evening reception was well under way capturing moments throughout the day and evening beyond our expectations.